When NFL free agency officially opens in about a month, Denver’s front office will have a plethora of tough decisions to make, including whether the Broncos should pursue another quarterback on the open market. 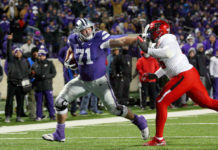 Case Keenum remains under contract for one more season, but John Elway could elect to bring in another veteran to compete with the 30-year old if he feels there will be no suitable options in the NFL Draft. Even if Denver does plan on drafting a quarterback though, the Broncos could conceivably want to bring in someone for the backup role. With nearly $38 million in cap space, Denver has a lot of flexibility this offseason and could go in a variety of routes. If the Broncos do decide to pursue a quarterback via free agency, the market is limited. A few of the intriguing targets include Teddy Bridgewater, Nick Foles and Tyrod Taylor. However, each of them would expect to be given a legitimate shot as a starter, so signing any of these three quarterbacks would be an indicator that the Broncos have all but given up on Keenum. Choosing to move on from Keenum would not necessarily be a bad plan as he has pretty much shown his potential at this point. 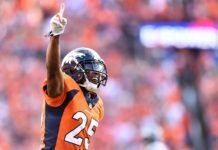 But it seems unlikely that the Broncos would be willing to eat his contract, especially considering none of the free agents are guaranteed to be a significant upgrade. With that in mind, here are three logical options for the Broncos to consider this offseason. 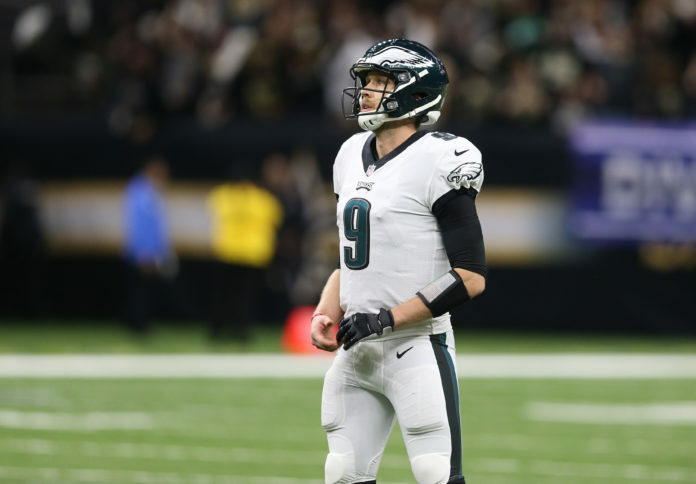 Nick Foles: Foles should have multiple suitors this spring, assuming that the Eagles do not hit him with the franchise tag. However, the 30-year old is also in the best position to cash in on a lucrative contract. 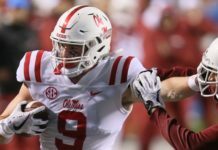 If the Broncos did sign Foles, it would limit Denver’s ability to help improve other areas like the offensive line, linebacking corps or secondary; but the big-armed QB would allow the Broncos to open up the passing offense and get the ball downfield to Courtland Sutton and Tim Patrick. Teddy Bridgewater: At only 26 years old, Bridgewater still has potential to have a successful NFL career, but it’s tough to say what his ceiling is at this point. So much of what made Bridgewater dangerous was his explosive athleticism and after suffering such a gruesome injury, Denver would have to be comfortable with betting on his long-term health. That being said, when Bridgewater was healthy, he was a significantly better passer than all of the other free agents in 2019. If he is good to go, Bridgewater could potentially revive his career in Denver with Rich Scrangarello’s version of the west coast offense. Trevor Siemian: The likelihood of Siemian returning to the Mile High City is not very high, but he is the best backup quarterback on the open market, fits the system and already has relationships established within the locker room. Unlike Bridgewater or Foles, the Broncos could sign Siemian with no intentions of having him compete for the starting role. More importantly, if Keenum went down with an injury, the Broncos would have someone trustworthy to enter the game. All things considered, bringing back the former seventh round pick would not be a bad move by the organization.